Our corporate wellness program is designed as the perfect getaway from the stress of work and daily life. Fully refresh and rejuvenate your employees and leave them more productive than ever. Reward your loyal and top clients with a truly indulging and refreshing experience that will linger in their hearts and minds. From Massages, Facials, Body Scrubs/Polish, Hand and Foot Spa, Hair Spa to our special V-Spa treatments; our program is fully customizable to suit your specific company needs. In this day and age, everyone is busy and finding the time to take care of themselves can be very challenging. Inadequate physical care can lead to high levels of stress, sickness, and burnout among your workforce. Studies continue to prove the physical, emotional and health benefits of massage therapy in dealing with stress and pain related issues. Even medical practitioners now recommend massage therapy to patients. The nurturing hands of our skilled Balinese Therapists will rejuvenate your workforce and leave your clients with a pampering experience. A loyal customer is priceless. Make them happier. Buy into one of our spa corporate packages and treat your employees/clients to some of the best and most indulging treatments at Tirta Ayu Spa. Over here, we live by exceptionally high standards, and operate purely focused on delivering excellent customer service. To discuss a Corporate Wellness Program for your organisation, please contact us via out contact form here.We understand that each organisation has different needs and we are ready to customize a package that best suit your particular requirements. The healing power of our touch therapy is unbelievable. •24hrs access to the members only Prestige spa (for bookings between 10pm-8am, please call us an hour in advance). •Access to the Prestige spa steam and sauna room for 30mins at no cost. •5% off special consultations and treatments with our specialist- on appointment only. •10% off retail product sales. 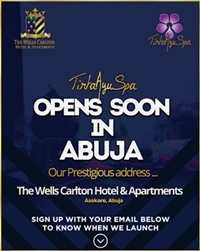 • A complimentary treatment of either massage, facial, body scrub or hand/foot spa for 4 registered executives.